The Lycée Français, a French immersion charter school that opened this year, announced Monday that it would rent out the school space owned by St. Francis of Assisi Church, but one important question was left unanswered. What would happen to the charter school that already rents out that very space near the corner of State and Patton Streets in uptown? 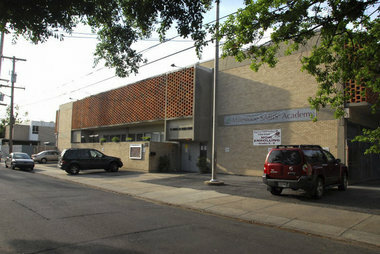 Turns out, the Milestone SABIS Academy was just as surprised to learn that another school had secured its building. In a perturbed news release late Monday, the school said it was "disappointed to learn today through media reports" that it will have to make other arrangements. "Milestone has been a model tenant throughout its nine-year lease term with St. Francis and made several improvements to the facility that incurred to the benefit of the landlord," the school claims. Milestone Board President Leslie Ellison said the school will continue with its expansion plans and is hopeful it will have a new school built by next school year, but has yet to begin construction. Its lease with the church ends July 1. She declined to mention where the new site will be because the school is still bidding on land and doesn't want to attract competition. Read more in the Times Picayune.